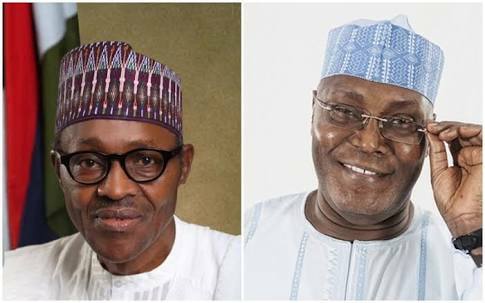 President Muhammadu Buhari should be ready for a serious probe on arms purchase by his government if former Vice President Atiku Abubakar wins next year’s presidential election. Atiku personally served notice of the probe yesterday while featuring on BBC Hausa Service. Although the former vice president hailed the Buhari administration for checking the security challenge in the Northeast, he expressed disappointment that the insurgency has taken this long. He wondered why the military has been unable to defeat the terror sect, Boko Haram, after much expenditure on arms. He also shed light on his exit from the ruling All Progressives Congress (APC). “I want to be the president of Nigeria because I would be able to do things I could not do as vice president,” Atiku said. “I will investigate how the government was unable to defeat Boko Haram for years. I will also investigate the procurement of arms bought by this administration. Atiku spoke against the background of the ongoing spat between the Presidency and the National Assembly over Buhari’s payment of $496million for the purchase of 12 Tucano military aircraft from the United States of America before seeking the consent of the National Assembly. Both chambers of the National Assembly are up in arms against Buhari on the matter, saying his action breached Sections 80 (1-4) of the 1999 Constitution. On anti-corruption figh, Atiku said his approach would be different from Buhari’s who, according to him, is protecting some of the people that should be prosecuted. His words: “there are people who are untouchable, they are doing things that are not in order but they are being shielded by the government. He recalled the role he played in the establishment of the Economic and Financial Crimes Commission (EFCC). “I was the person that sourced for the takeoff funds for the EFCC,” he said. Asked about his purported ban by the US government from visiting the country, Atiku said: “I requested for visa, they said it is under administrative process. “I’m not desperate to travel to America. I don’t have any investment there. The house I bought for my wife years back, she sold the house. He said the ‘ban’ would not in any way affect his ambition to rule Nigeria. “It’s not by going to America that qualifies one to be a president; it’s not in our Constitution,” he argued. He said youths would be favoured by him if he becomes president as 40 per cent of his ministers will be young Nigerians. On why he dumped the APC, Atiku said: “The APC started on a wrong footing after President Buhari assumed office. “After 2015 general election, I met the president. I told him the activities of the party had been crippled and there was a need for restructure. “Also, the way the government was being run; I made my suggestions but it seemed they were deemed not important to them. Atiku resigned from the APC last November to rejoin the Peoples Democratic Party (PDP) on which platform he became vice president in 1999.